I am so thrilled to finally have some plants in the ground. We have been creating our spot, amending soil and planning for the last month. I think I have been talking about growing a garden for years!! Thanks to my good friend and neighbor, we finally got moving. 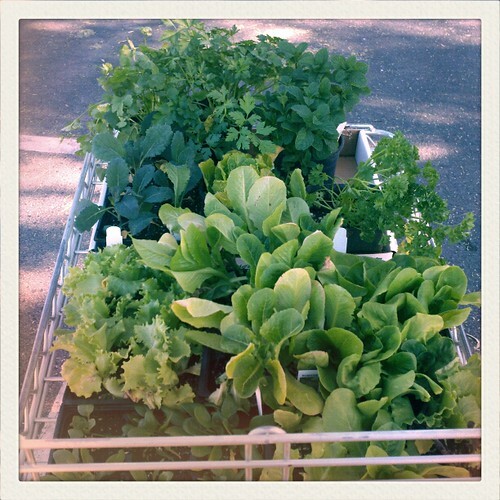 I went plant shopping a few days ago and bought several lettuces, spinach, kale, broccoli and some herbs. Yesterday we planted and got dirty. This will be a huge learning process for us, but I’m so happy to be trying. 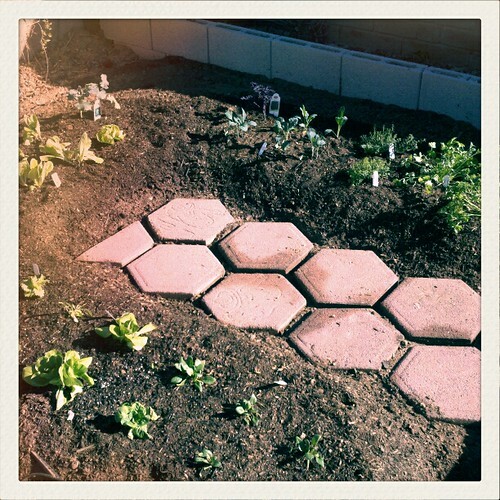 Now, I have a strong desire to decorate my little garden space. Maybe a dragonfly, banner, planter markers and flower plates? I’ve been collecting ideas HERE. looking good regina…so so good. it’s impossible to think of gardening in the middle of a mn winter, but gives me goosebumps thinking about spring. Crazy, I know~ supposed to be in the 70’s all week long! Oh fun! Wishing it was warm enough here for gardening! 🙂 Lucky girl! 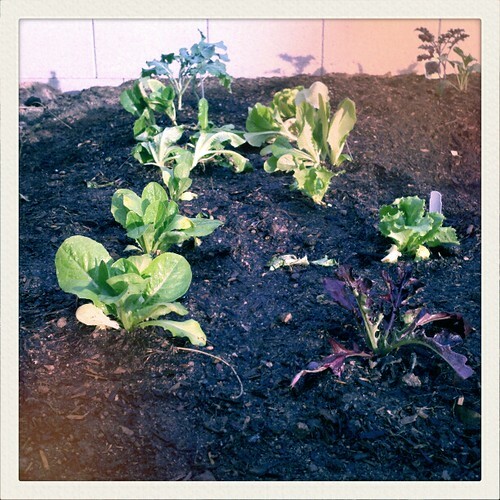 oh, gardens are fun and yours is turning out great, nothing better than eating veggies that you grow yourself! Hi, Regina, stopped by via Dana Barbieri’s blog. Nice to meet you. Your garden is looking great. You have me yearning for spring. We’ve only just started with snow for the year, so it will be a while till I’m growing veggies outside again. I’ll have plenty of fun poring over the seed catalogs. Love your collection of ideas on Pinterest. I vowed that I wasn’t going to start with it, but I fear I may have to give in soon. So much inspiration! Hi Anne. Thanks so much for stopping by~ nice to meet your too. 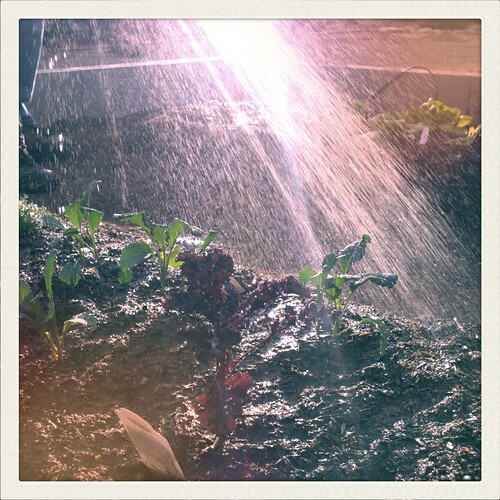 I’m very much looking forward to my garden growing. I’ll be jealous of you come summer. 🙂 Have fun skiiing!